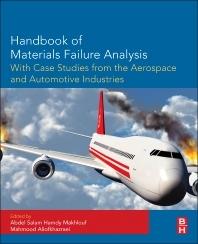 Handbook of Materials Failure Analysis: With Case Studies from the Aerospace and Automotive Industries provides a thorough understanding of the reasons materials fail in certain situations, covering important scenarios, including material defects, mechanical failure as a result of improper design, corrosion, surface fracture, and other environmental causes. The book begins with a general overview of materials failure analysis and its importance, and then logically proceeds from a discussion of the failure analysis process, types of failure analysis, and specific tools and techniques, to chapters on analysis of materials failure from various causes. Later chapters feature a selection of newer examples of failure analysis cases in such strategic industrial sectors as aerospace, oil & gas, and chemicals. Materials engineers, chemists, research scientists and grad students working in materials engineering and failure analysis, primarily in corrosion engineering-related industries such as aerospace, oil & gas, and chemicals.